The fact is that eliminating the cap on taxable wages does not solve the long-term funding problem facing Social Security, but that does not mean that politicians and liberal organizations have not convinced many (especially older) Americans otherwise. As you can see below, only 6% of American workers would pay more if the cap were eliminated. Do we truly believe it fair that 6% of workers should carry the burden for all workers by subsidizing their retirement? Is that the way we want America to work? That’s never how Social Security was supposed to work. And consider this. A worker earning $118,000 (the current cap) pays the maximum tax and receives the maximum benefit and so does a spouse. If the cap is eliminated, an individual earns $218,000 and pays taxes on an extra $100,000 but his and his spouse’s benefit is exactly the same as the couple with an income of $118,000. Is that your definition of fair? [example assumes both individuals always earned the maximum taxable wage]. We are not talking about progressive income taxes, we are talking about funding a pension relative to ones income up to a set limit. What proponents don’t often mention is that to save significant money for the SS trust, while the taxable wage is uncapped, the eventual benefit is calculated on the old wage cap. When you consider the relationship between the taxable wage and the benefit calculation, the argument that higher income workers pay a lower tax rate is silly. In fact, the benefit calculation already skews a higher monthly benefit to lower-income workers. I love how special interests manipulate facts and mislead susceptible Americans. The progressive left, which often presents its views in compassionate ways, is especially adept at this skill. Look at the phrases I placed in red. If the benefit and the taxes are based on the same dollar amount as they are, considering ones total income in calculating a tax rate is irrelevant. Similarly, paying the tax on one-eighth of earnings means nothing other than as a rallying cry for those who want to turn Social Security into welfare rather than honestly solving the solvency problem. Many Americans are not aware that, because there’s a cap on the amount of earnings that are subject to Social Security payroll tax, the highest-income earners among us pay a lower rate than the rest of us. For 2016, that cap is set at $118,500 per year, the same level as in 2015. (In almost all prior years, the cap increased annually with inflation, but lower gas prices were a major factor in holding the relevant inflation measure flat last year.) That means that people who make a quarter of a million dollars per year pay this tax on less than half of their wages. Those who make a million dollars annually pay the tax on less than one-eighth of their earnings. In other words, the vast majority of us who make less than the cap pay a Social Security tax rate that’s more than eight times that of millionaires. In 2015, several members of Congress introduced bills to shore up Social Security’s finances by raising the tax rate on the highest-wage earners, bringing their rate either closer to or equal to that paid by the rest of us. The proposals that remove the payroll tax cap entirely are estimated by Social Security’s Chief Actuary to reduce the program’s long-term funding shortfall between 70 and 80 percent. Other bills apply the tax to earnings above $250,000 or $400,000 per year, which are estimated to eliminate anywhere between one-ninth and four-fifths of the gap, depending on how they are phased in. The figure below, and the tables available at the bottom, update prior CEPR issue briefs to show how many workers would be affected by eliminating or raising the cap. It turns out that the top 6.3 percent of earners (less than 1 in 15) would pay more if the cap were scrapped. If the tax were applied only to income above $250,000 or $400,000 per year, then only the top 1.5 percent (1 in 67) and 0.6 percent (1 in 167), respectively, would pay more. NOTE: Being retired for six years, I have no personal stake in this issue except from the perspective of fairness and the changing ideology of our Country. So, for example, a quarter of coverage is determined in 2016 where an individual earns $1,260 or more. So, an individual can get 4 quarters of coverage in 2016 by earning $5,040 – spread evenly across four quarters. The tax on $5,040 is ~$75. So, assuming comparable wages for 10 years, a person can qualify for Medicare Part A, and the subsidies for Medicare Part B and Part D (and dual eligibility under Medicaid), by paying in as little as $750 over 10 years. Assuming those working years are ages 55 – 64, at this individual’s age 65, assuming a 6% discount rate, she has effectively contributed $988 to qualify for Medicare Part A, B and D.
Take your “millionaire and billionaire” individual averaging $1,000,000 a year for 50 years (age 25 to age 75). She pays $725,000, which at 6%, means she caused to be contributed $4,477,000 (@ 6% discount). You might think that fair since they both paid the same 1.45% on all earnings. However, note that the millionaire and billionaire actually paid much, much more in terms of funding Medicare Part B and D through general revenues – income taxes. And, the millionaire and billionaire actually receives LESS BENEFITS (because of the lack of dual eligibility, and the surcharges under Medicare Part B and Part D). You think this isn’t already a form of welfare? If and when a fix comes, I won’t be surprised to see unearned income added to the tax. It can be sold as a FAIRNESS issue that will mostly affect the rich. When “the fix’ is made, it will surely include two things: higher ss payroll taxes and no limit, or nearly no limit, on the amount of income subject to the tax. I suspect an increase in the minimum retirement age will be in there too. The arithmetic is easy. The politics not. I read your commentary as biased and disingenuous. The skewing of wages to the top has taken a large percentage of previously taxed SS wages and removed them from the SS system. There is no disagreement about that. Thus, the raising of the wage cap is just recapturing the wages that were originally included in SS planning from decades ago. The top bend point is quite low in term of SS benefits. I believe that the raising of the wage cap would raise the SS of those participants but at the top bend point (I am assuming you understand how SS is calculated). So no need to cap the benefits at the 118K level (although that may be OK as well) as they are progressive due to the low bend point under the current system without any change. The use of the bend points is why it is called “social” security and not a straight financial annuity. That is how the system was set up in the 1930s. With only 6% of workers earning above $118,000? With or without capping the benefit calculation at the current wage cap, raising the cap or eliminating it does not solve the 75 year solvency problem; but between 60% and 80%. The tax rate has not been changed in 26 years. It seems to me there should be a balanced approach to funding the solvency problem among all workers and current retirees who had the advantage to too low payroll tax rates. Those who look to solve the full problem by only raising the cap also assume not raising the calculation formula. I agree with you CC. The rich should pay more because they benefit from being able to make incomes above $118,000, over twice the average wage or more. The high wage earner benefits more from their employer paying 50% on their higher wages and they get the maximum benefit. Corporations have benefited from lower average wages adjusted for inflation and will be paying 50% of the increase. 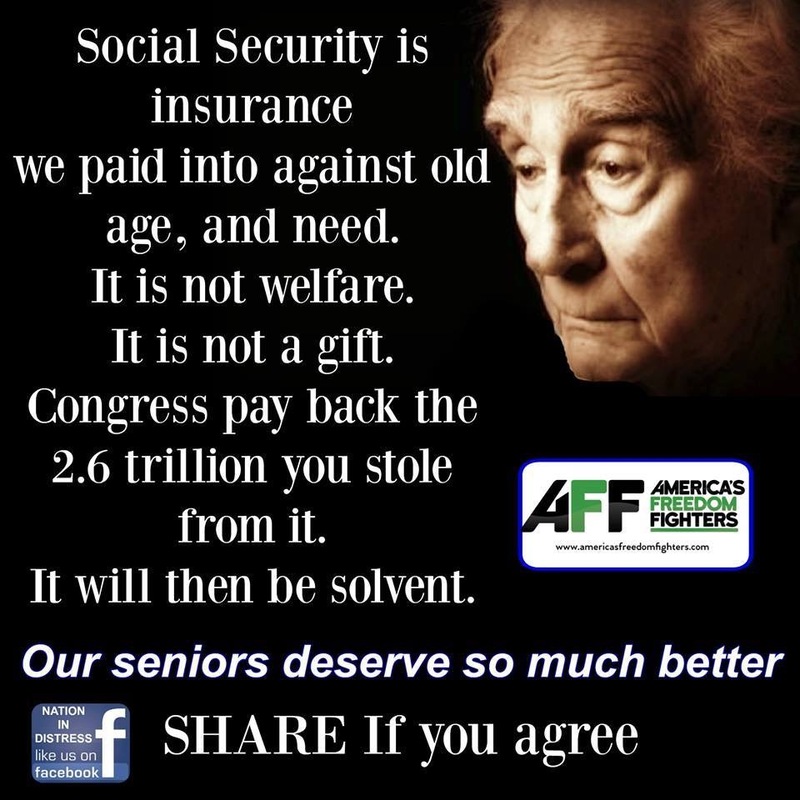 Since many companies have limited their pension plans, it is time for them to help fund the SS shortage. An increase in the SS tax rate for everyone will also be required to balance the system. The rich “benefit” from being able to earn incomes above $118,000? First, $118,000 is not rich, especially in many parts of the country. I can show you union workers who earn that. “Being able” to earn incomes? How about what it takes to earn a higher income? It’s not a gift or luck. It takes hard work, sometimes risk and experience and usually an investment in education and time. People earning over $118 k are typically in their 50s or more. Are we now a nation where achieving the American dream is something to be punished? Do we favor turning SS into welfare? A modest gradual increase in the tax rate (perhaps higher for employers not funding any pension program) will solve most of the problem. The rate hasn’t been raised in 26 years.